Nestled on the borders of Mayo and Galway on the west coast of Ireland, Ardilaun Creations provide an unrivalled passion for delivering bespoke floral creations and fantastic customer service. Our experience ranges from exclusive weddings in venues such as Ashford Castle Hotel, Lisloughrey Lodge and Cathedrals through to intimate ceremonies, birthday bashes and timely reminders of love. We take great pride in creating the perfect arrangement for that special occasion and work closely with our clients to deliver on their expectations. Why not get in touch to arrange something special today, or indeed have a look at our selected gallery or read just a few of the glowing comments we have received through the years. 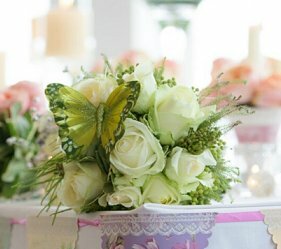 Let Ardilaun Creations create a unique floral theme for your special day. We can provide flowers for the church, venue, bridal bouquets and much more. Move that special someone with a beautiful bouquet or bespoke floral piece from Ardilaun Creations. Christmas, Halloween, Christenings, Superhero Birthday Parties. Whatever the theme we have the imagination to match! 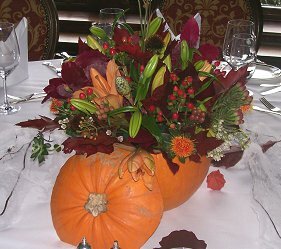 Let us theme your floral needs to suit the occasion. The wedding was magical – everything went just as we wanted. Ella, myself and our guests were in AWE of the flowers.